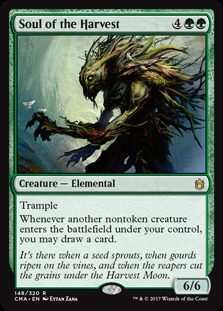 Is Soul of the Harvest standard legal? Atzocan Seer and some other mana dorks if you can get them, like Birds of Paradise , Llanowar Elves and Fyndhorn Elves . Artifacts to use, Fellwar Stone , Talisman of Impulse and Talisman of Unity . If you put in the artifacts you can take out a couple lands to make it fit better. For card draw, Guardian Project , Beast Whisperer , Primordial Sage and Soul of the Harvest . 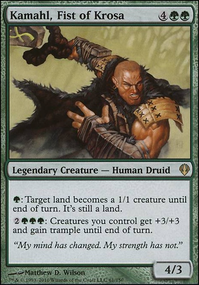 As long as 75% of your creatures is the tribe youre going for, its still tribal. I try to get Tatyova, Benthic Druid out as quick as I can. Sometimes turn 3, if I can get Simic Growth Chamber and a land and put out Azusa, Lost but Seeking on turn 2. 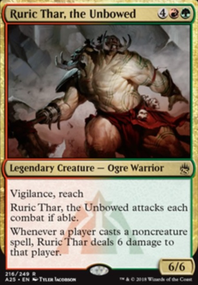 Momir Vig, Simic Visionary helps with this too. Murkfiend Liege + Wilderness Reclamation untaps my creatures and lands on my end step. That allows me to play cards on my opponents end step with Alchemist's Refuge . 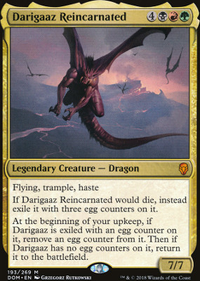 I play this but I put in Deadeye Navigator and Peregrine Drake which combo with Soul of the Harvest to draw you out your deck. This can help you win your Simic Ascendancy combo or Laboratory Maniac . 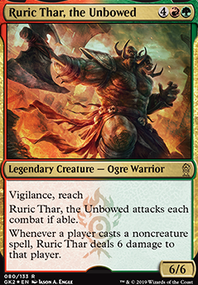 I also play Give because the Take half works remarkably well with Toothy especially if you have Pir or Hardened Scales to speed up the number of counters you're gaining. Primordial Sage is a less version of Soul of the Harvest which I see is in your maybeboard. Swapped Venser's Journal for Soul of the Harvest . Beast Whisperer replaced Soul of the Harvest and friend. They serve no purpose. 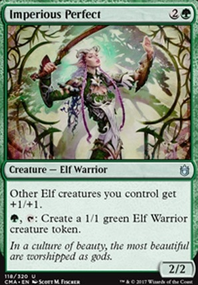 If I generate 6 mana I will rather be playing Woodland Bellower to be going wide and looking for an untap. SynergyBuild is totally right on Freyalise.